Fiction In Photographs, which features music and lyrics by Dan Mills and an original book by Randy Redd, will play 92YTribeca next month. Show time at the downtown venue located at 200 Hudson Street is scheduled for Monday, August 6th at 8PM. The new musical is being presented as a benefit for New York-based Sing For Hope. A second concert staging of the original pop-rock musical will be presented at 3PM on Tuesday, August 7th at The Laurie Beechman Theater for a private industry-only audience. The dynamic words and music of singer-songwriter Dan Mills are the centerpiece of this new musical. The time-twisting story, told by 5 actors in one compelling act, is by actor and writer Randy Redd. A delicate balance of wisdom and sentiment, Fiction In Photographs reveals the vivid contrasts between life as it is remembered and life as it happens. 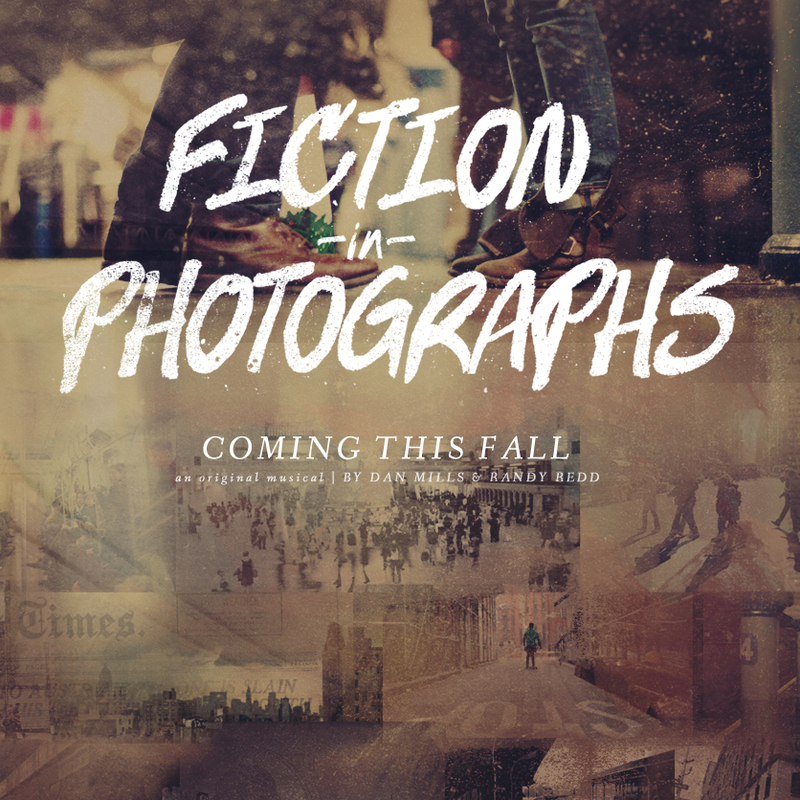 Fiction In Photographs, a multimedia theatrical event, is a fresh, sincere and ultimately heartbreaking contemporary musical. The cast will feature Cole Burden (25th Anniversary Les Miserables, Applause), singer-songwriter Adam Day, Alysha Deslorieux (Sister Act), newcomer David Mizzoni and Lauren Pritchard (Spring Awakening). Dan Mills is a singer-songwriter, guitarist and actor from Brooklyn, NY. Mills’ eponymous has released 3 full length albums. As an actor, Dan Mills portrayed “Carl Perkins” in the Broadway and Off Broadway casts of Million Dollar Quartet and also appeared with his band on NBC's "Smash". In a statement writer Mills said, "As a songwriter and an artist I try and write from an honest place. My process is in-the-moment and very personal for me. I never really know where a song is going to end up in the world if it ends up out there at all. So, seeing my music travel from pen & paper to the theater is something that is very exciting and refreshing for me. Fiction In Photographs has transformed these tunes into something I could have never imagined, and being an artist for a while now, it's surprised me how a collaborative vision can grow into an amazing piece of art." Randy Redd made his Broadway debut in Parade and recently appeared as “Jerry Lee Lewis” in the hit Off Broadway musical Million Dollar Quartet as well as The Burnt Part Boys, Some Men and Ring Of Fire. He collaborated with David Pittu on the critically-acclaimed What's That Smell: The Music Of Jacob Sterling at the Atlantic Theater Company.